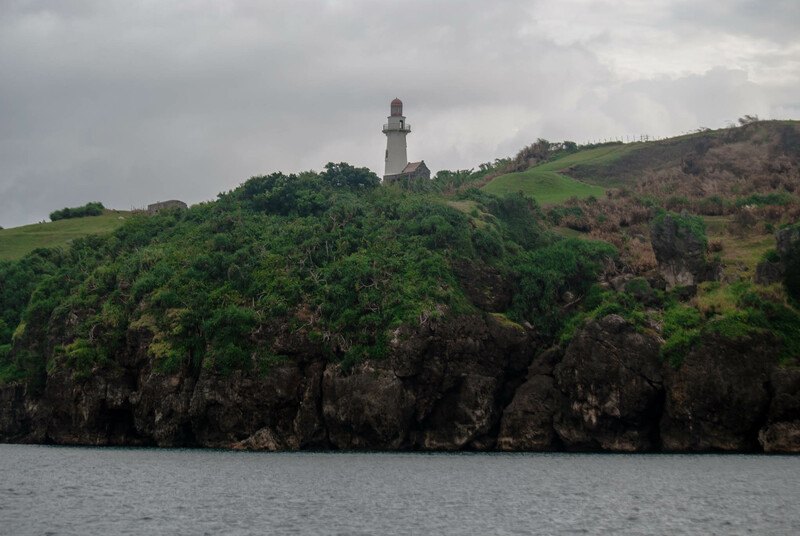 BATANES is a scene of changing moods, sometimes balmy, sometimes placid and other times ominous. But its postcard-worthy topography and the genuine hospitality of its people – the Ivatans, make it such a tourist-friendly place. 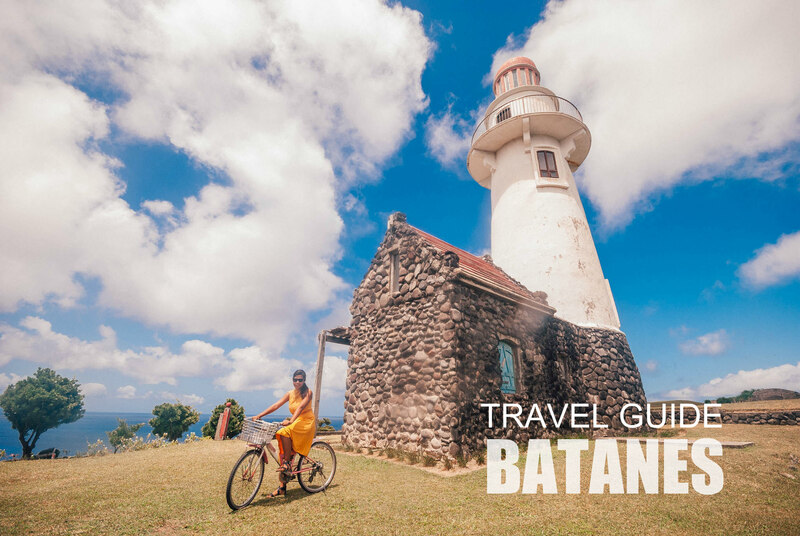 From mighty stone houses blanketed by the richness of Ivatan culture, to towering sentinels standing on strikingly gorgeous hills pounded by incessant waves, Batanes tick all the boxes for a scenic and laid-back vacation. For those asking, as of the moment, there is no passenger boat to Batanes from Manila or Ilocos. There is no way to go to Batanes by land from Ilocos or Manila. The only way to get there now is by air. 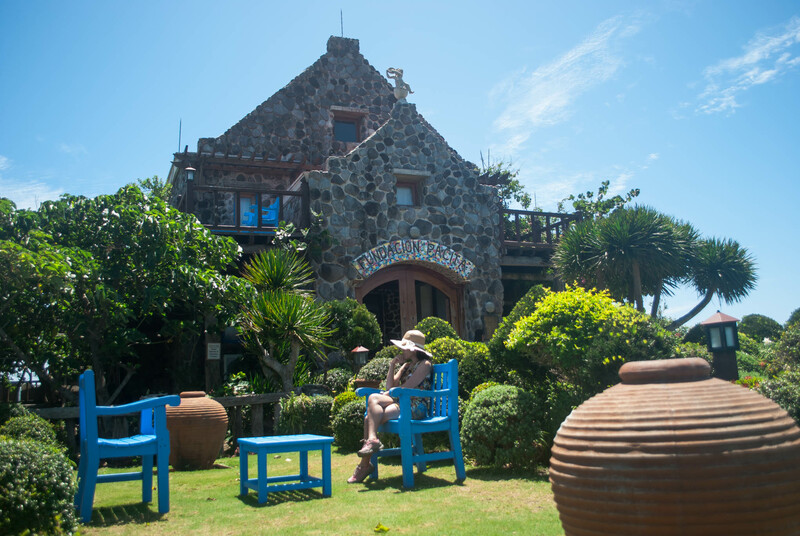 Hotels and homestays abound in Basco, Batanes. Here are some of the cheap hotels you can find in Basco, Batanes. 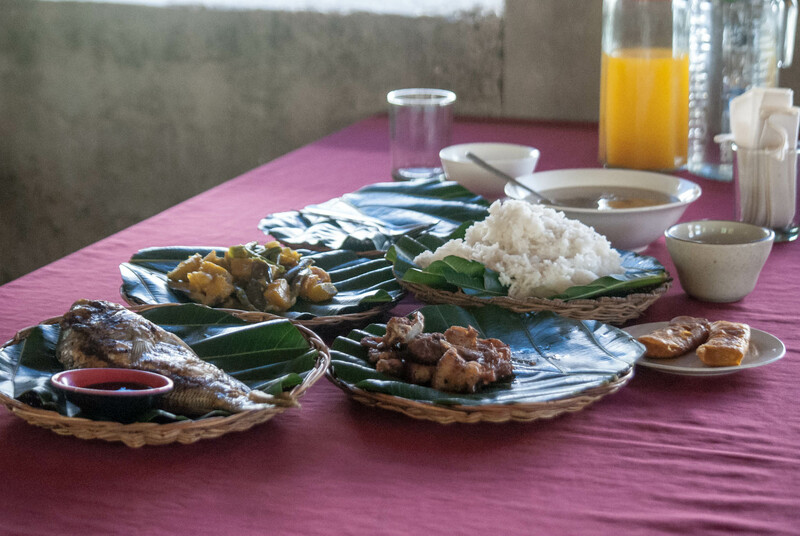 When in Batanes, eating their traditional dishes wrapped in vunung leaves is a must-try. These are available in some restaurants and eateries. Batanes has 3 major inhabited islands, namely: Batan, Sabtang and Itbayat. 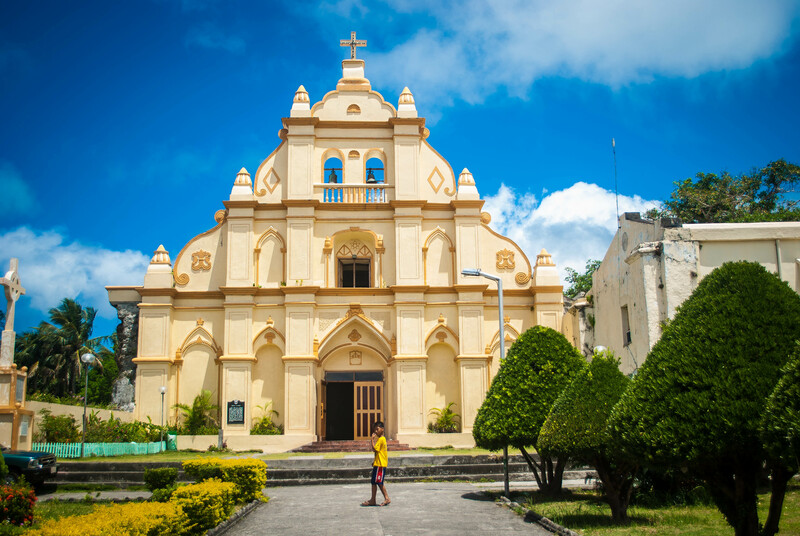 When you arrive in Batanes, you will land on Basco, the capital of Batanes which is located in Batan. 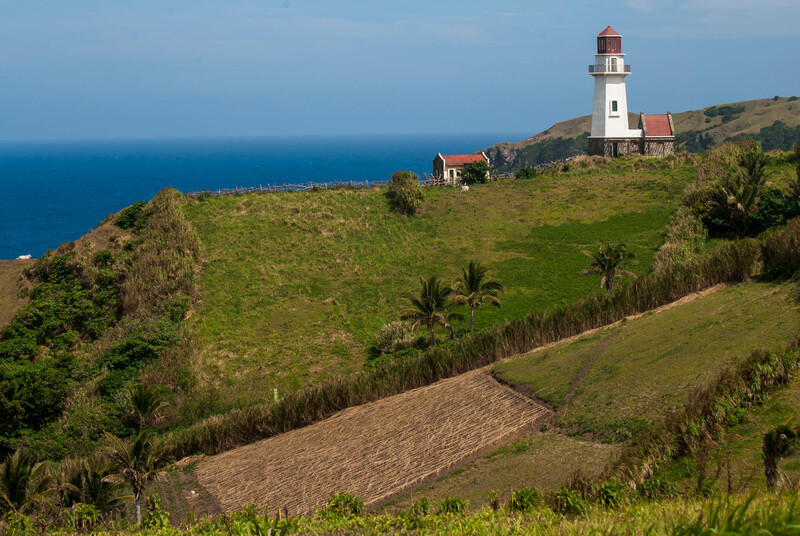 Batanes tour is divided into: North Batan Tour, South Batan Tour, Sabtang and Itbayat. 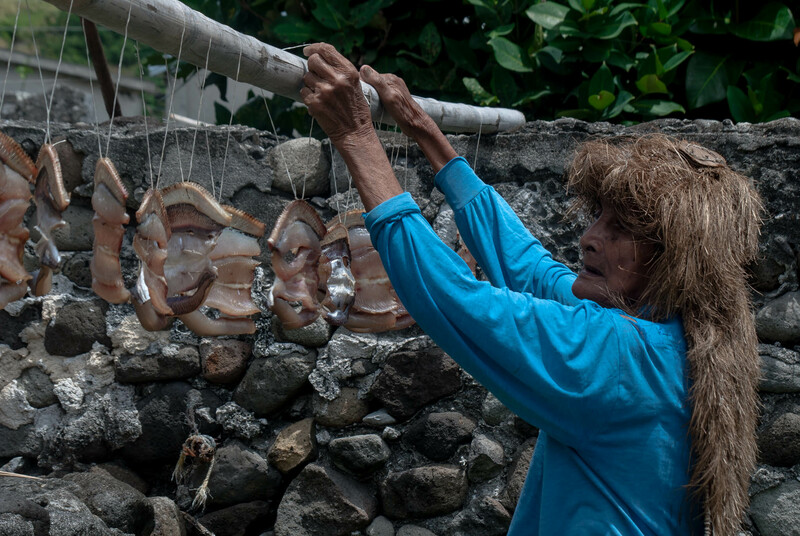 If you want a hassle-free tour you can avail of inexpensive tour packages offered in Batanes you can join the group tours or private tours of BISUMI Tours and Services owned by my Ivatan friend, Ryan Cardona, a former tour guide. *Land Transportation (Tour and Transfer) *All lunch during the tours. *Certified Ivatan tour guide. *All registration fees and permits. *Round-trip boat rides for Sabtang Island Tour. *Refreshments during the tour. *Php 100 worth souvenirs from Vavayat Souvenir Shop. 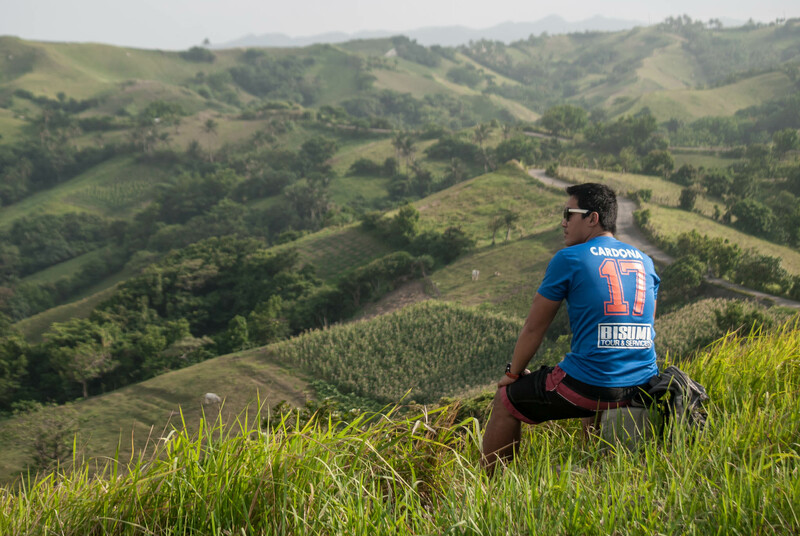 Due to the craggy and hilly landscape of Batanes and the distance of the attractions from each other, I won’t recommend this unless you have a strong stamina or you’re an experienced mountain biker. I tried biking from Marfel’s Lodge Extension to Basco Lighthouse in Naidi Hill using a Japanese bike and I had a really hard time. 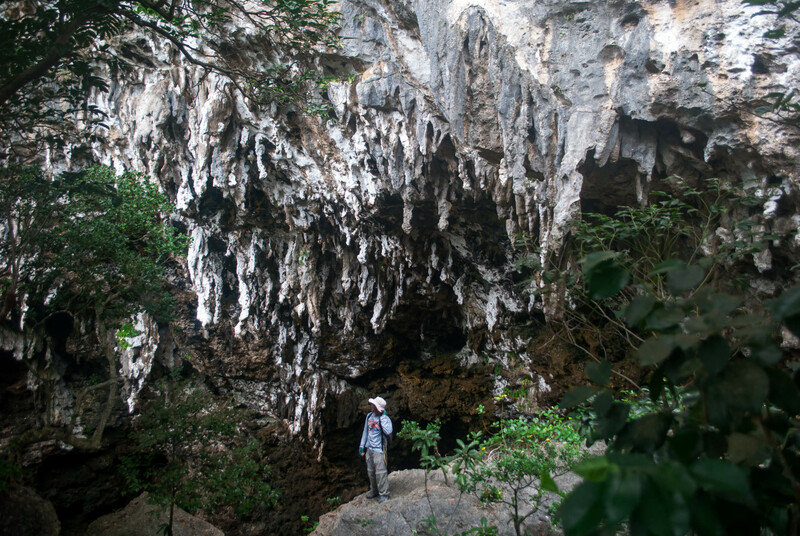 Hiring a tour guide is recommended if you wish to visit the gorgeous attractions in Itbayat since hiking are mostly required. The port of the falowa (boats) going to Itbayat is located in Basco, so you can just take a tricycle to get there. Flowat/Boats to Itbayat costs Php 450 per way, travel tie is 3-4 hours. *If you are visiting Rapang Cliff, there is another guide fee of Php 1,000. *Boat rental to other islands north of Itbayat like Yami , Siayan , Dinem , Ditarem and Misanga can cost as much as Php 7,000. If you are pressed for time, the typical Batanes itinerary is 4Days/3Nights which includes North Batan, South Batan and Sabtang Tour. If you wish to include Itbayat in your tour, I suggest adding 3-4 more days to be able to explore it. But I recommend doing it on the 2nd day of your trip and just follow the itinerary below for the succeeding days, just in case the boat trip back to Basco gets cancelled because bad weather . Do check the weather update before proceeding to Itbayat. *If you have limited time, you can do North Batan, South Batan and Sabtang Tour. Only do the Itbayat tour if your schedule is flexible as falowa/boat trips is dependent on the weather. I really need to go to Batanes. Beautiful photos! Great info you’ve presented, too! Thank you for sharing your experience. Batanes is my ultimate dream vacation! I’m planning to visit Batanes as a birthday to my self this coming May. Kindly contact the number. 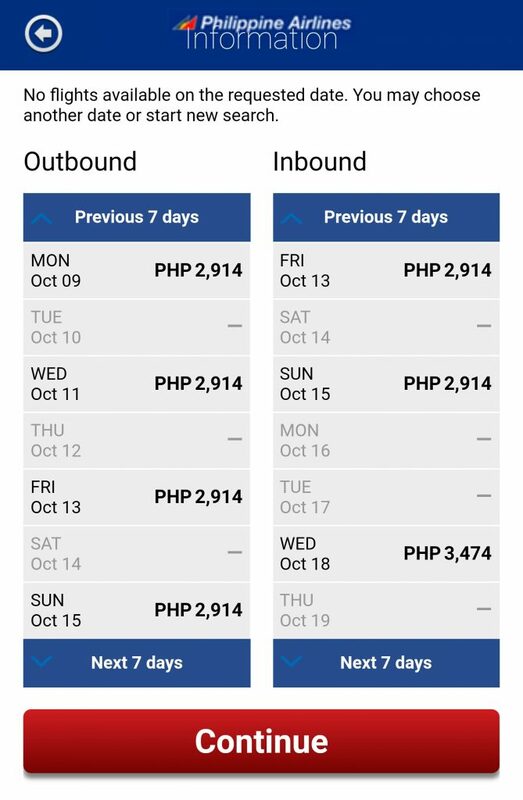 You can get it cheaper pag maramihan ata, They also have promo now. Hi dear! Your blog is really a big help! We are planning to go in batanes this Dec 2016! Keep on travelling! Yep, It’s fairly easy so long as you;re not going to Itbayat. It should be okay, Kindly contact Ryan for the tour and you can also let him know about your concern. I would like to travel alone in Batanes between last week of March to 2nd week of April 2016. I tried to inquire with travel agencies but I could not afford the cost because most of them offer private tour because they do not have a scheduled group tour during that date. 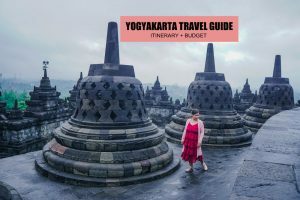 Do you have any suggestion where and how to travel there with a cheap package (probably like the one which you are doing) so I can save my budget? I really love to travel to this place. Hi! 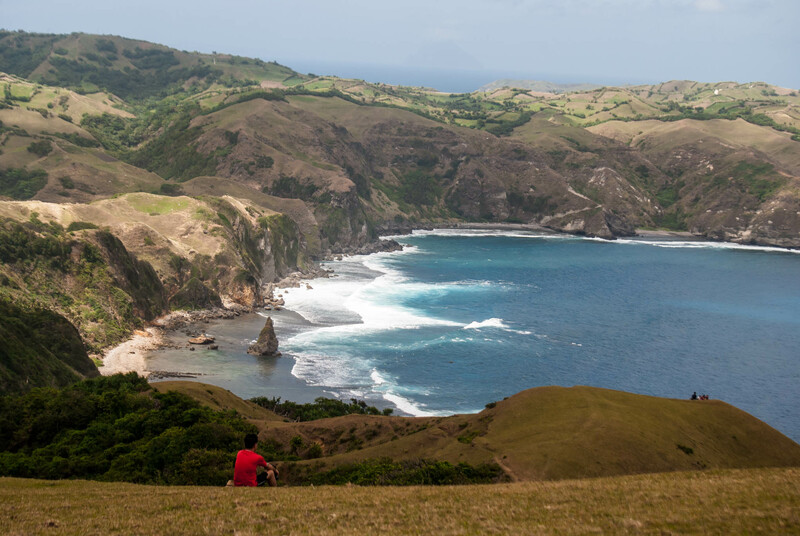 Is last week of October a good time to visit Batanes? Operational na ba ang Boat from Currimao Port Ilococs Norte to Batanes? As far as I know wala pong passenger boat to Batanes, except the ferry that carries goods to Batanes. Does the ferry that carries goods accept passengers? how can I have the tour? booking I mean? thanks! thank you for this information. it helps a lot. 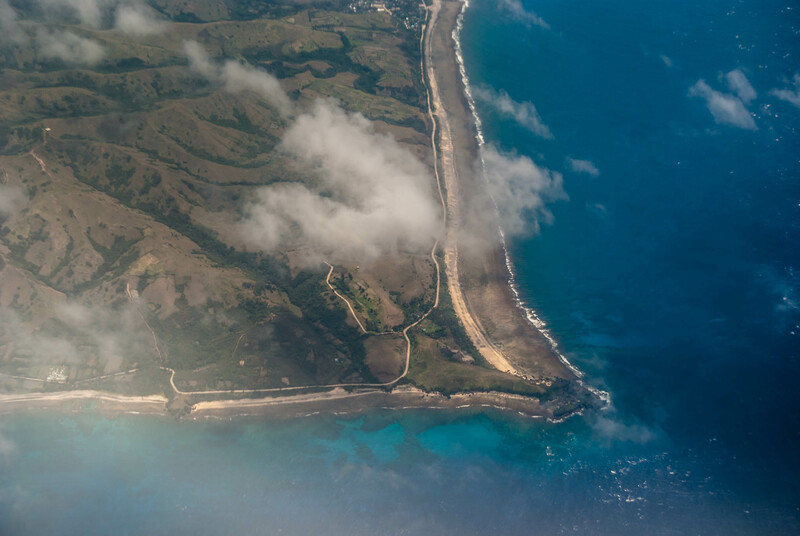 is there only one airline going to batanes? which month is best to there, Ms. Gael? thanks, again. Hmm I am planning to have a solo trip this year (My first attempt trip by myself). My fear is my safety, but as what i have heard about batanes, i am confident i ll be more comfortable travelling alone. I am so keen to start my solo flight in Batanes! Thank you so much for this info. hi me and my husband are planning to go to batanes last week of aug to early sept. is it ok to go on those dates? 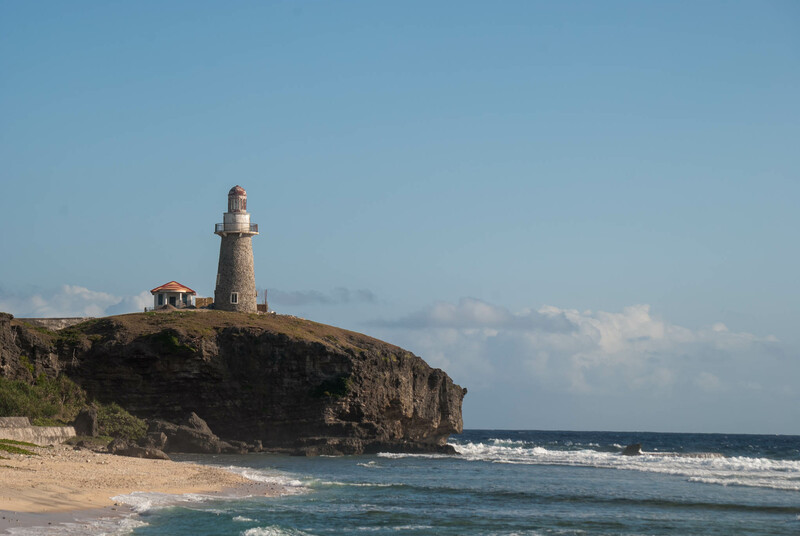 Whats the best time to visit batanes? HI! 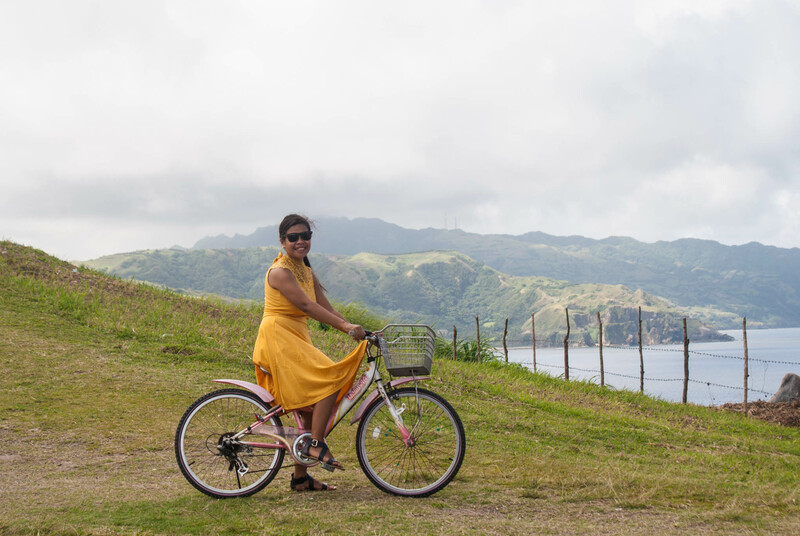 Are there motorcycle rentals in Batanes? I think it would be awesome to explore Batanes by motorcycle. Thanks. Hi! A friend and I are will go to Batanes in a few weeks and sa totoo lang we’re quite freaking out because it will be a first time for us both and will only be staying 2 days in (sadly coz of flights and work). I hope you could help us but I swear this post has been a lot of help already!!! 1. What are the homestays available in Diura? Because we’re planning to stay there for our first night. May I also ask for your contact? 2. Is the South Batan tour bike-able? Or would you advise to take the tricycle tour? 3. Is it possible to squeeze the major attractions of North Batan, South Batan, and Sabtang in a 2-day trip? Or would you recommend for an alternative? Wow Batanes is really comparable to NZ! hello, what is the best month for touring in Batanes considering its weather condition there. Thank you for this extensive post. I am saving this for my solo trip this coming November :). As a person who likes hiking, I think I’m going to take Ibayat. How about during december is it the weather is nice po ba? I have a 5 years old kid to bring along, Is it safe po ba? And included din po ba xa sa per person sa tours? Thanks! I heard from my friends that Batanes is expensive place to travel and that’s why I am a bit reluctant to go there. Thank you for sharing your guide at least I will know how much it will cost if I plan to bring my husband there. can you please give me an estimate of activity tours package with hotel for 3days and 2nights. I’m planning to go to batanes.. such a lovely place.. hope to be there soon..
Hi I tanong ko lang kung pag ngbook ka ng INN sa batanes may susundo sayo from basco? 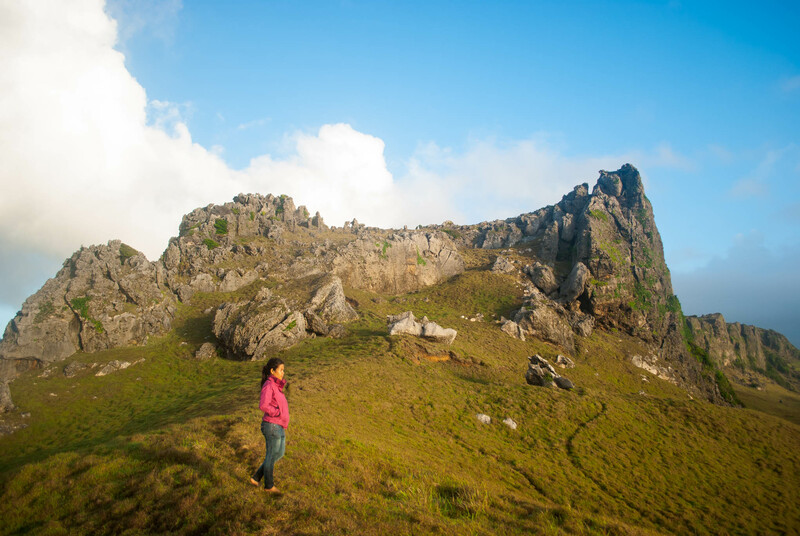 Is it okay to travel to Batanes in October? Check the weather updates. So long as there’s no typhoon it should be good. another great update on this one! Galing kumpleto sa details.. ask ko lng kung..
Anong month of the year pinaka magandang mag visit sa batanes? Hello, i have planned to go there with my gf on Octber 13 t 16… which best the cheap hotel but good place? Nice read and useful guide… May I clarify though, is the tricycle rate above on a per person/package or is it a basic rental rate per tricycle (regardless of the number of persons)? Thanks! I’ll be traveling alone need to find out is march a good month? If I go island tour do I have to stay in home stay? So march 21 to 25 2018 . Is it a lot of people travel by them self? Nice blog! Really a big help.. we’re booked to Batanes but for next year pa. June 2018 for 4d3n. Your blog’s a really big help. Thank you so much! Great and informative post. Anyway, I have same question with AnZ, may I ask if the tricycle rate above is per person or trike rental (regardless of number of persons)? Big thanks! 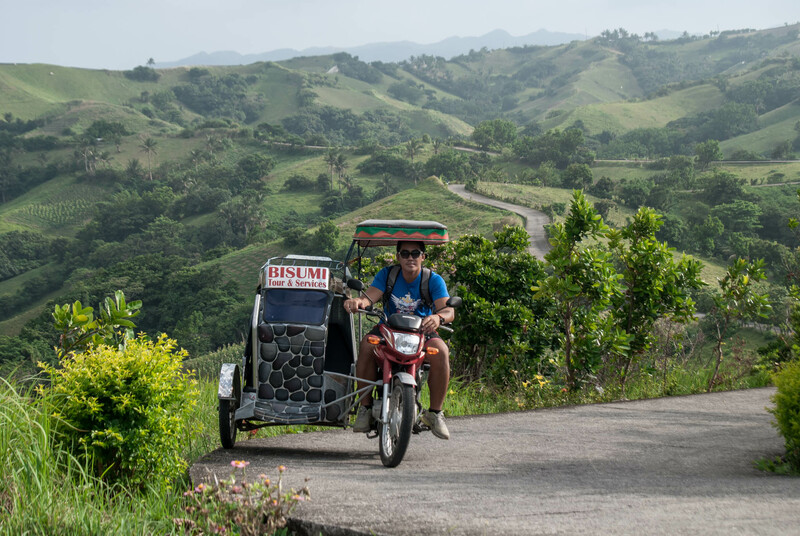 Can I rent motorcycle in batanes? I don’t know of any motorcycle rentals there. is Bisumi Tours & Services have office in Manila? How will get your plane tickets with them and the flight details? May I know where did you stay in Sabtang ? Is there a way for me to bring my own motorcycle in Batanes? Thanks for the informative article about Batanes. I’m planning to travel there someday. What is the best time or month to go there? Hi there! Is it possible to combine north and south batan in one day? Your awesome! Im planning to surprise my partner this 2018. Im planning to go on tours so it’ll be cheaper. Please suggest some other things that may help. Im active on social media.facebook and instagram. Please…It’ll be much appreciated. Thanks. I traveled there alone. Safe for solo travelers. Malakas ba data signal sa lugar? 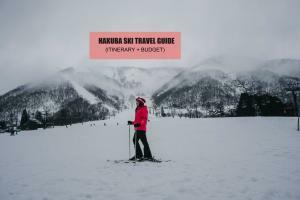 How much your total expenses for the whole trip? March to June which is summer month talaga and usually matao. Hi! Do you stil have the name and contact number for the Sabtang homestay that’s P150/night? 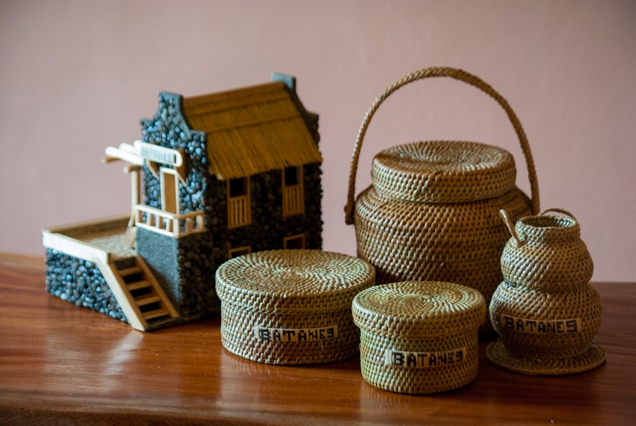 Do you have companion in going to Batanes? Hi, you inspired me to travel solo. Now i’ll be traveling to Batanes alone in September. I’ll try to use your itinerary as my basis. I just have a question po. did you book all tours with Bisumi/Ryan, including the hotel accomodations? hi question, if sa trike po paano po makikipag coordinate? na try niyo po ba yun? and kung yung van po what if dalawa lang po kayo? 🙂 thank you. I am travelling to Batanes end of this month with my wife. We’re doing a 4D/3N trip and would probably be doing the same itinerary you’ve mentioned here (very helpful). I am thinking of just renting a motorbike so it would be easier for us to roam around, except for the Sabtang tour obviously. I just want to know if it is easy to rent out there and if it’s safe. We’ll be staying at Fundacion Pacita. Thanks. I don’t know of any motorcycle rental. But you can hire a tricycle (with driver). Hi, thank you so much sharing, my friends and I are scheduled to visit Batanes come December. Other than Bisumi, can you refer other tour services? Thanks. Hi! Yun po bang rent ng tricycle kasama na yung driver sa rate or bukod pa po? Thanks!